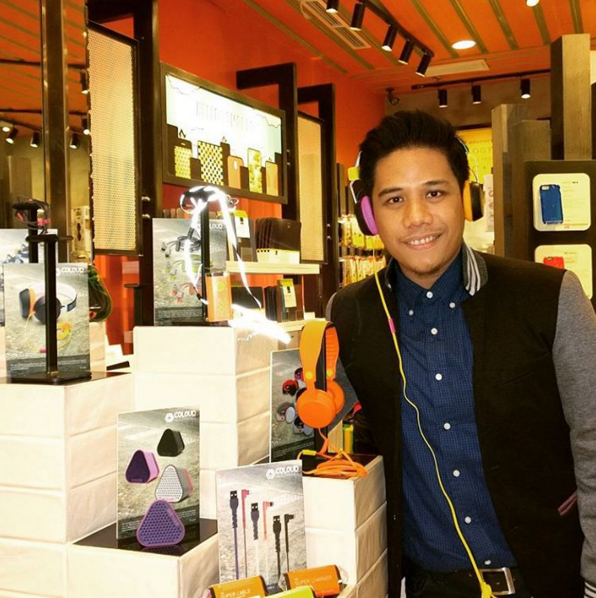 Last Thursday - November 5, 2015, I graced Digits Trading Corporation's warm invite for the official launch of Coloud Headphones' Q4 2015 product line-up in the Philippines. The intimate event was held at Recession Cafe, which shares its commercial space with Digital Walker, at Eastwood Mall in Quezon City. 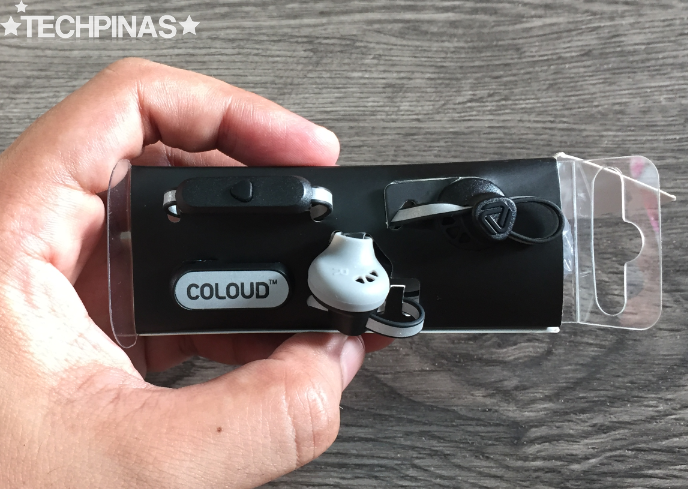 A long-time treasured partner of TechPinas, Digits Trading is the official distributor of Coloud Headphones in the country. 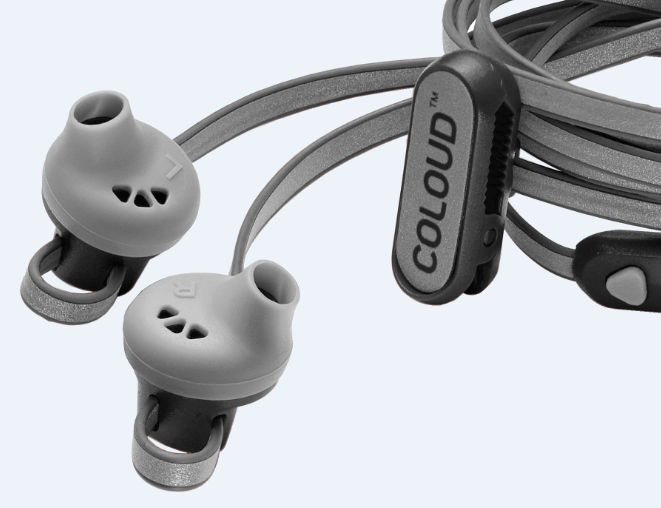 Based in Stockholm, Sweden, Coloud crafts hip, attractive, fairly affordable, and quite powerful earphones for millennials. 'No huge logos, no funny gimmicks, no unnecessary details, just reliable and functional headphones designed to deliver your daily dose of music. The inspiration behind its triangle logo is the Play symbol, denoting the brand’s mantra – always ready to play when you are.' That's what Coloud is all about! 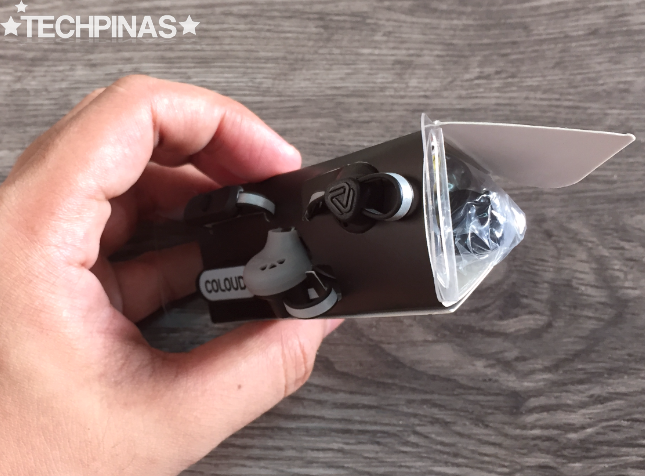 One of new products that instantly captured my fancy during the launch was Coloud Sports The Hoop earphones. I got to try out a pair at Digital Walker and I was immediately impressed not only by its cool design and rugged construction but also by the quality of sound emanating from it. Off hand, I think this model will surely sell like hotcakes come Yuletide. 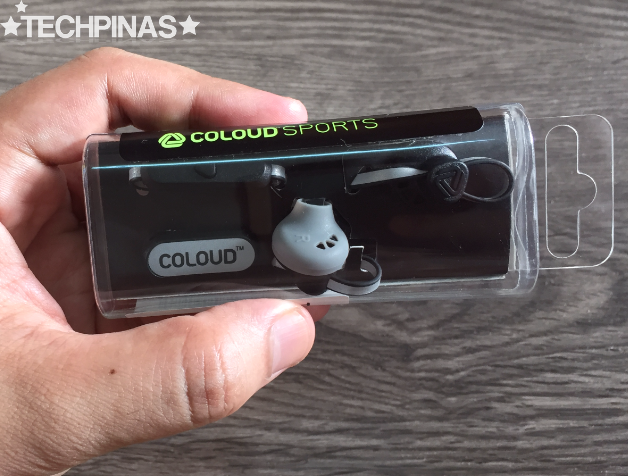 With official suggested retail price of only Php 1,495, I think Coloud Sports The Hoop is ideal for students and yuppies - living active lifestyles - who may be on a tight budget but won't settle for less when it comes to the look and audio performance of earphones in their growing collection. 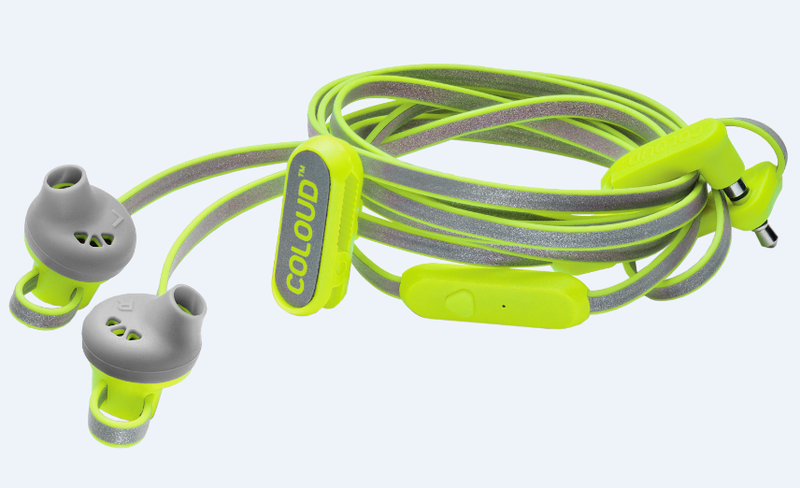 According to Coloud, "The Hoop is developed with the urban adventurer in mind. Every feature is optimized for making life easier for the athletes of today." "Built for an energetic life, these ultra-lightweight in-ear headphones are splash, sweat and dust resistant [...] The Hoop is built to handle your favorite workouts. Go ahead, push yourself to the limit without worrying about your headset. Get outside and get fit while the Hoop serves up the music that motivates you," they added. The Hoop comes in this small, no-non-sense package. Let's do a quick unpacking. 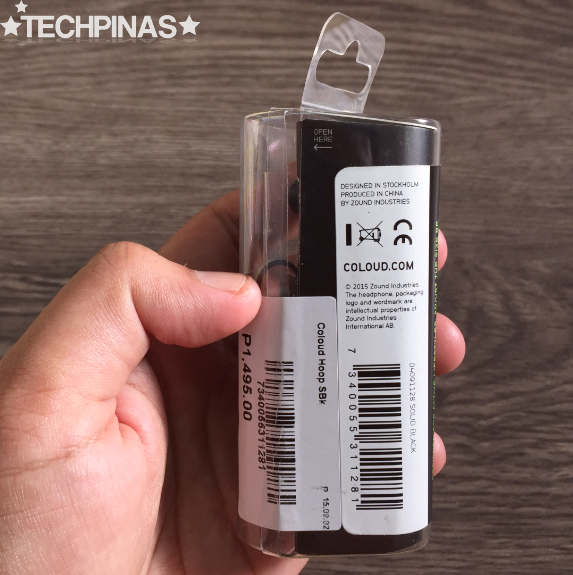 Removing the outer clear plastic case, a piece of paperboard with the right perforations holds and 'showcases' the product. 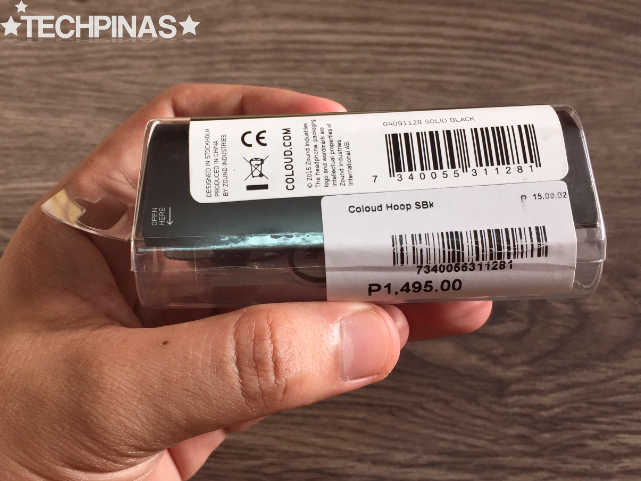 Coloud used a strip of double-sided tape to make a tube out of the paperboard. Gently pry it open and unroll to reveal all the contents. I have the Black version with reflective silver inner wire band that makes you more visible during your late-night runs. 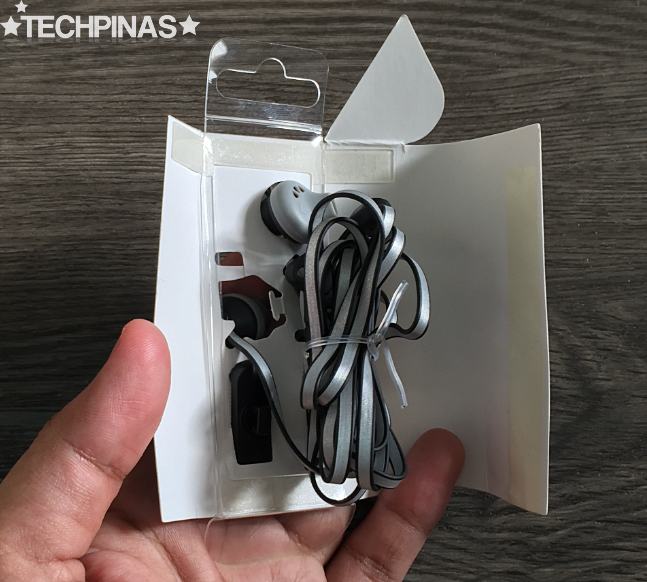 The package also includes an extra pair of silicone nozzles and a cable clip that you can use to attach the wire to your clothing when making calls while jogging or working out to reduce friction noise. 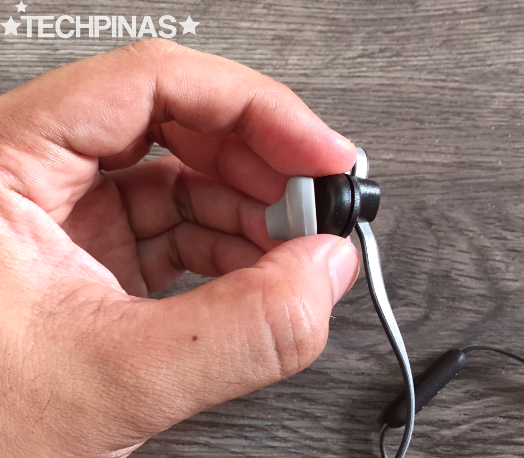 Because most music players today are also smartphones that let users make and receive calls, The Hoop has a built-in microphone and remote on its the flat cable made from TPE. With this module, you can answer or end a call, adjust the volume during your conversation or while listening to music, as well as pause and forward your tracks (one click to pause or resume, double click to jump to the next track) without unlocking your handset. 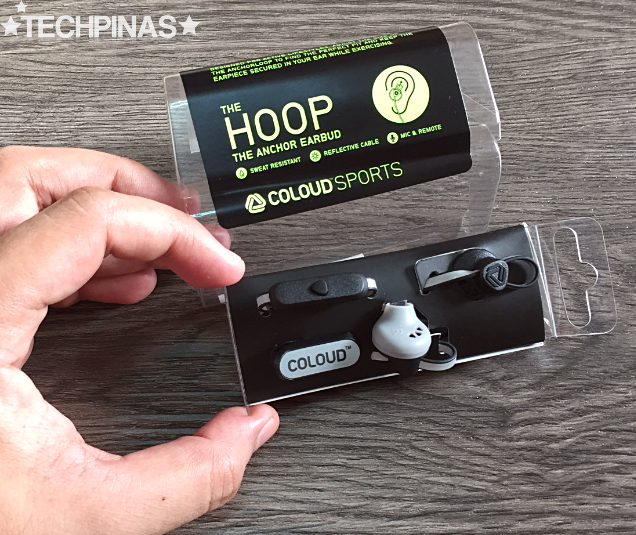 One of the key or unique features of Coloud Sports The Hoop is its adjustable support loop that helps keep the earpieces from slipping out of your ear while you're doing your sports and fitness activities. You have the freedom to adjust the size of the AnchorLoop to find the perfect fit and keep the housing secured in your ear. As you can see, its design is pure genius. It's simple and it works. Adjusting the AnchorLoop is as easy as swapping ear nozzles. Just push and pull with your fingers; Anyone - even a kid - can do it. 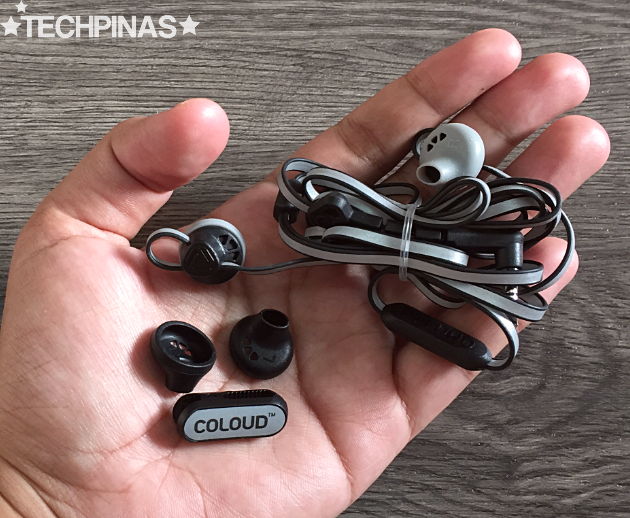 Just like its siblings in the Coloud Headphones family - namely, The Pop, The Knock, and The Boom (all of which, we've featured on TechPinas), The Hoop also comes with flat cable and ZoundLasso – the combination of which provides a tangle-free music listening experience. "ZoundLasso bends 180 degrees to hold your cable in place when you aren’t using your headphones, and its angled design protects against breakage at the connection point. 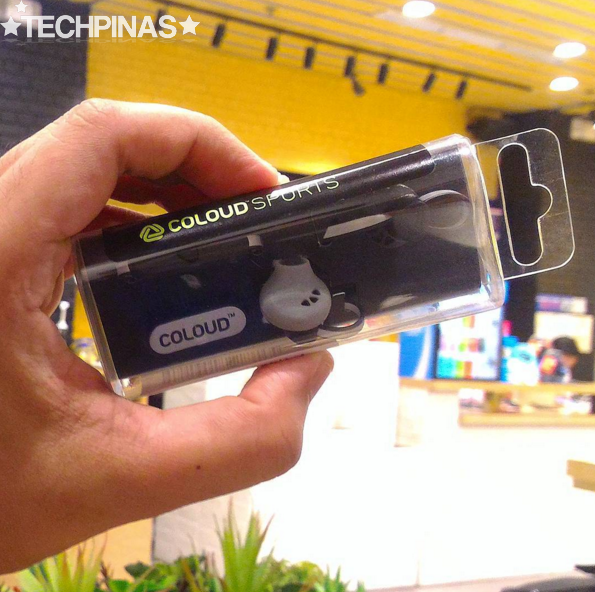 Just wrap the flat cable around it and secure [the whole thing in place] with the pliable angled plug," Coloud explains. Now, as for the sound quality, I have nothing good words for The Hoop. 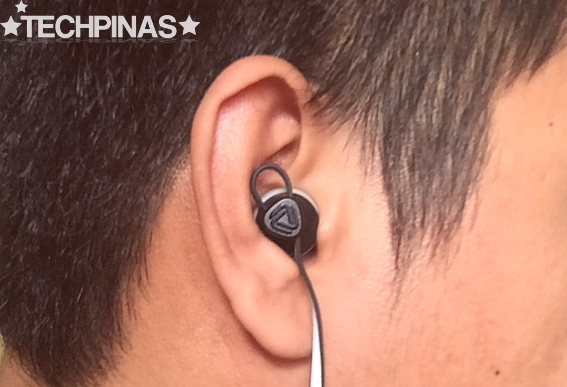 For its price, the pair delivers clear bass sound as well as bright vocals and trebles. 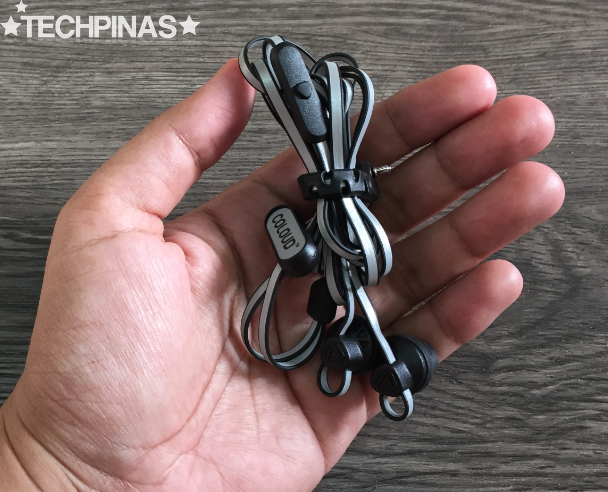 Of course, you can't really expect chest-pounding bass or ultra-crystalline trebles from a headset in this price echelon -- but I think most users will be more than satisfied with what The Hoop has to offer in this regard. The Hoop comes in two versions. 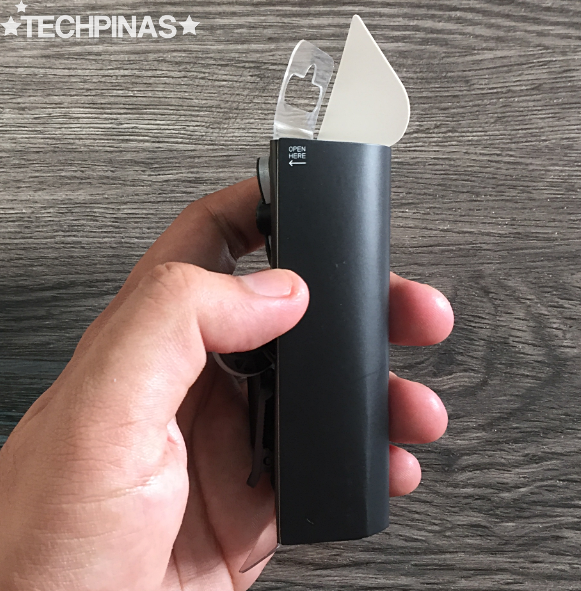 One that features the one-button remote that's compatible with both Android and Apple devices (just like what I have here) and another that has a three-button remote, which is compatible with Android devices only. 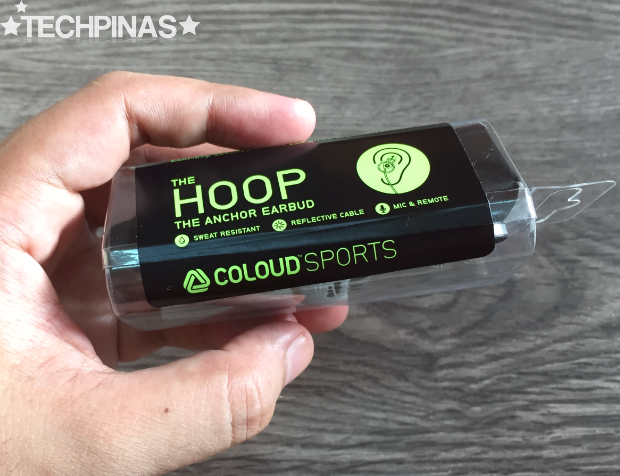 Available in Black, Electric Green, and Neon Orange, Coloud Sports The Hoop Earphones are now up for purchase at select Digital Walker and Beyond The Box stores nationwide. I highly recommend this release and I invite you to give all Coloud Headphone models a test run at an official retail outlet near you.